Giadha DeCarcer, a former investment banker, is founder and CEO of New Frontier, a data analysis provider for the cannabis industry. "The cannabis industry is so new that there are very few barriers to get in, especially for women," said Giadha DeCarcer, CEO and founder of New Frontier, which provides data analysis for the marijuana industry. More importantly, she said the marijuana industry isn't as heavily skewed toward men as many other industries. It's what personally appealed to DeCarcer, a former investment banker and consultant in technology and defense. "Those are all heavily male dominated areas. It was the biggest frustration for me," she said. "It made it harder to rise to the top." DeCarcer launched New Frontier in 2014. She said the business doubled in value and size in less than a year. She said it's profitable but won't disclose revenue. Women account for 36% of all executives in the cannabis market, according to Marijuana Business Daily. That far surpasses the 22% national average for women in executive roles across all industries, according to Pew Research Center. Finding the overall number of female cannabis entrepreneurs is harder to come by. But the anecdotal evidence is strong that more women are getting a foot in the door. Jane West, cofounder of Women Grow. Jane West is at the forefront of this trend. 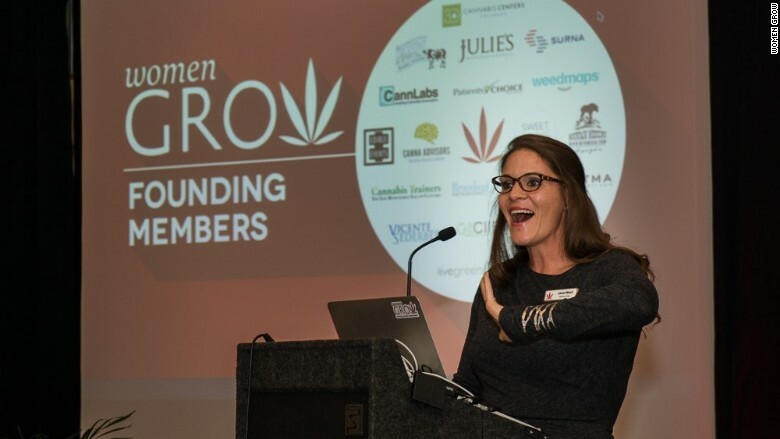 West, "a proud cannabis user," cofounded Women Grow, a professional networking group for women in cannabis. Its first event in 2014 had 70 attendees. Now it has chapters in 44 cities, with 21,000 subscribers to its weekly newsletter and 30,000 followers on Instagram. The Women Grow summit kicks off February 3 in Denver. West expects the three-day event to have more than 1,500 attendees this year, including singer-songwriter, Melissa Etheridge. "There is nothing but opportunity for women in this industry. We need to spread the word," said West. "Women are coming up with terrific business ideas. Many of them are driven by their advocacy for legal marijuana." 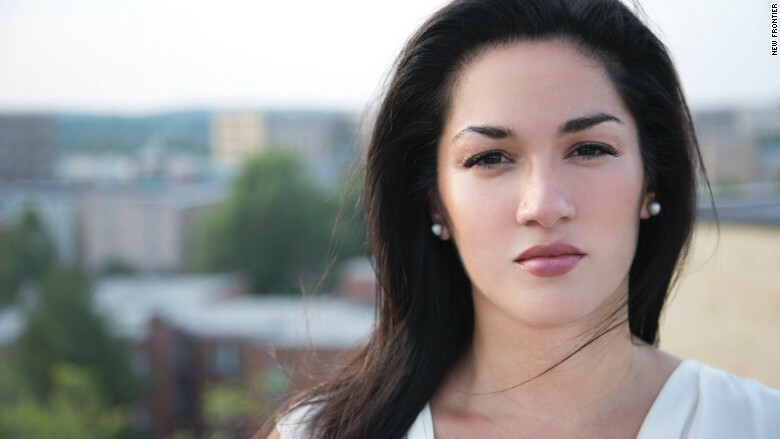 Salwa Ibrahim has been an advocate of legal marijuana for a long time. "I'm also from the Bay Area, which is the birthplace of the medical marijuana movement," she said. Ibrahim and a business partner opened Blum, a medical marijuana dispensary, in Oakland, California, in 2012. It was a steep learning curve, but she made some smart moves to quickly get established. "I attracted the best possible talent and gave them incentives to stay and grow with the business," she said. Blum now sees 800 to 1,000 patients a day, and has added a cultivation center, production facility and 70 employees. More than half of her staff are women. Last month, her business was acquired by Terra Tech Corp (TRTC). Ibrahim is staying on as executive director and adding two dispensaries in Las Vegas and one in Reno. Jennifer Gote, founder of AOW Management. On the cultivation side, cannabis growers are still predominantly men. That doesn't sit well with Jennifer Gote. Gote fell into the industry out of necessity. "I got out of a bad relationship and became a single mom to four kids," said Gote, who was living in Arizona. A friend suggested she take up a job as a trimmer at a marijuana cultivation facility. "That's how I got started," she said. In a year, she learned every aspect of the business -- growing, harvesting, packaging and distribution. When a manager position came open, she threw her hat in and was promoted. "I earned everyone's respect because I worked my way up," she said. 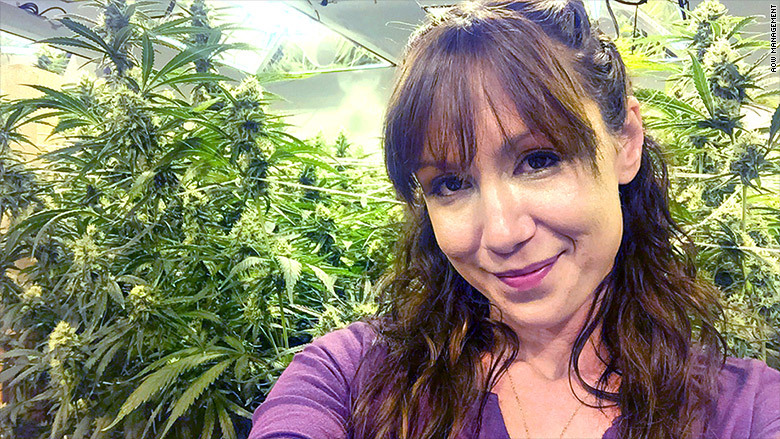 She quit last November to start AOW Management, a cannabis cultivation and dispensary management company. "Business is going really very well," she said. But Gote now wants to see more women on her side of the business. "I would love to hire women," she said. "In fact, I would hire women right now with no experience. This way I can teach them from the beginning everything that I learned."